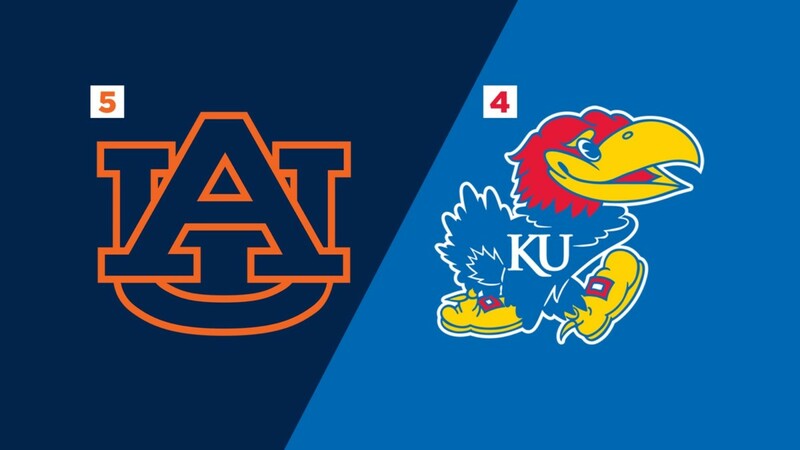 After taking care of business on Thursday against Northeastern, the Kansas Jayhawks now enter their biggest game to date, as they square off with the Auburn Tigers in the second round of the NCAA Tournament. Auburn is one of the hottest teams in the nation. They are the (very slight) favorite heading into Saturday’s showdown. The Tigers basically begged New Mexico State to beat them in the Round of 64, but Auburn prevailed by a point. Kansas, on the other hand, played perhaps their best game all year. It was one of the few times where they just took it to their opponent from beginning to end. Kansas is making its 48th NCAA Tournament appearance and has a 108-46 record in the event. 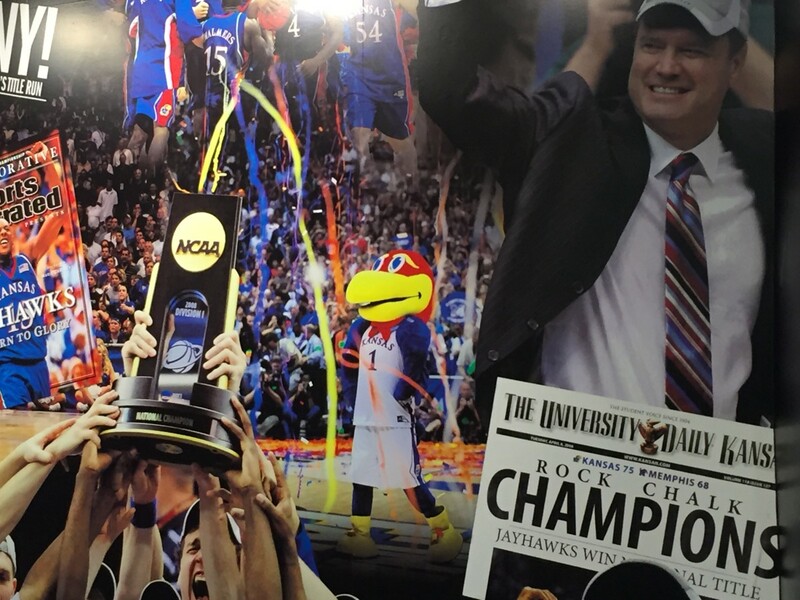 The Jayhawks have advanced to 31 Sweet 16 contests, 15 Final Fours and three of their five national championships have been in NCAA Championship format (1952, 1988, 2008). Kansas’ 30-consecutive NCAA tournament appearances, beginning in 1990, is the longest active streak and the longest consecutive in NCAA tourney appearances history. Since seeding in the NCAA Tournament began in 1979, this is the fifth time Kansas entered the event a No. 4 seed. KU was also a No. 4 seed in 1994, 2001, 2004 and 2006 with the last two in the Bill Self era. The Jayhawks are 8-4 all-time as a No. 4 seed and 5-0 versus the No. 5 seed. This season, Kansas has faced 15 different teams in the 2019 NCAA Tournament field with a combined record of 14-7. With the 87-53 win against Northeastern (3/21), Kansas has won its last 13 NCAA Tournament first-round games, a string which started in 2007. Kansas is 23-10 all-time in Round of 32 games (since 1981). Kansas and Auburn have only played once, and it was in the second round of the 1985 NCAA tournament. 11-seed Auburn upset 3-seed Kansas by two to advance. The Jayhawks have never beaten the Tigers. The Tigers come into Saturday’s showdown winners of their last eight, which includes a 20-point blowout of Tennessee in the SEC tournament championship game. They’re no doubt one of the hottest teams in the country at the moment. Though Auburn didn’t live up to their preseason top-10 ranking, the Tigers don’t really have a bad loss on their schedule. They can play with anyone and beat anyone. This matchup between the Jayhawks and Tigers should be perhaps the best game of the day on Saturday. It’s exactly what a 4 v. 5 game should be. Brown can flat out score the basketball. He leads the team at 15.8 PPG and is shooting 40.8 percent from three this season. In the opening round nailbiter against New Mexico State, he scored 12 points and dished out five assists. Okeke’s teammates grabbed some headlines on Friday when they said that “Dedric Lawson isn’t ready for Chuma.” Okeke is coming off a 13 point, 5 rebound performance against NMST, and before that had 18 and 13 against Tennessee in the SEC title game. Okeke could pose some problems for Lawson, cause he is mobile and can handle the ball… but I feel like calling out a Bill Self-coached player doesn’t generally work out in the end. We’ll see on Saturday. There are a handful of programs I just can’t seeing have major success in the NCAA tournament and Auburn is one of them…basically any SEC school not named Florida or Kentucky. No matter how good they are, they find ways to lose. Heck, Auburn tried its hardest to blow their first round on Thursday. Also, calling out Dedric Lawson and saying he’s “not ready”… karma will rear its ugly head on that. That reason aside, I feel good about KU going into this matchup. Kansas has the better coach. Despite what Auburn’s players say, Kansas will have the best player on the court. KU has an emerging point guard in Devon Dotson. They’re starting to get some bench contributions out of Mitch Lightfoot and K.J. Lawson. Ochai Agbaji showed signs of coming out of his cold spell against Northeastern. I just like the way Kansas is trending right now. On top of that, it seems as if KU is being doubted by most and flying under the radar to a degree. I like that for KU. Give me the Jayhawks to advance to their fourth straight Sweet 16.